I can’t be more happy and grateful when I see a new article of mine on the homepage of CoBo Social. It still gives me the same buzz of 10 years ago, when I was just starting out writing for online magazines. 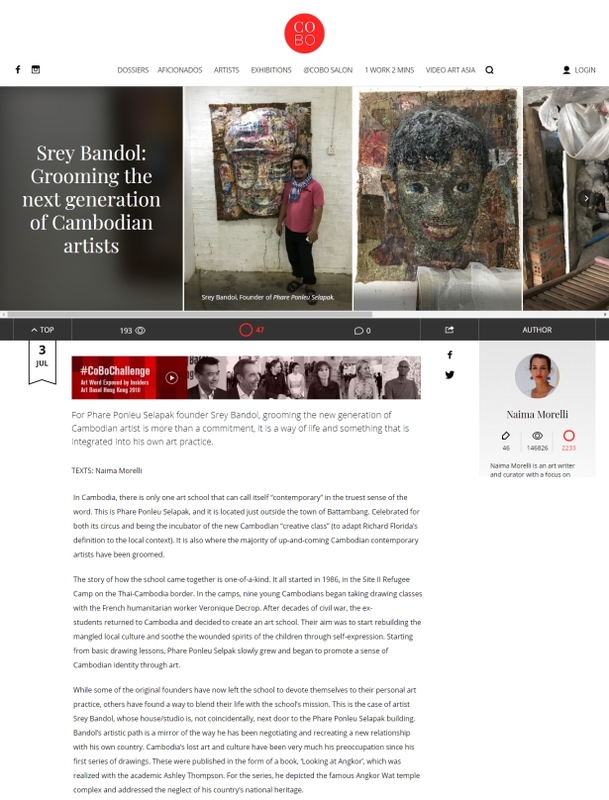 This interview with Srey Bandol, co-founder of the art school Phare Ponleu Selapak in Battambang, Cambodia, is particularly rewarding because it is a part of the reportage on Cambodian contemporary art I did at the beginning of the year. I really hope that through these articles CoBo and I will be able to give a more complete picture of the art scene in this fascinating country.